The Charismatic collection from Waverly Baby by Trend Lab will bring sweet sophistication to your little girl's nursery. Waverly's bright and cheerful Charismatic floral print is brought to life in lovely coral pink highlighted with beautiful neutral tones. The collection is softened with ruffled accents of the gorgeous Lively Trail floral pattern printed in soft licorice gray on a cream base. 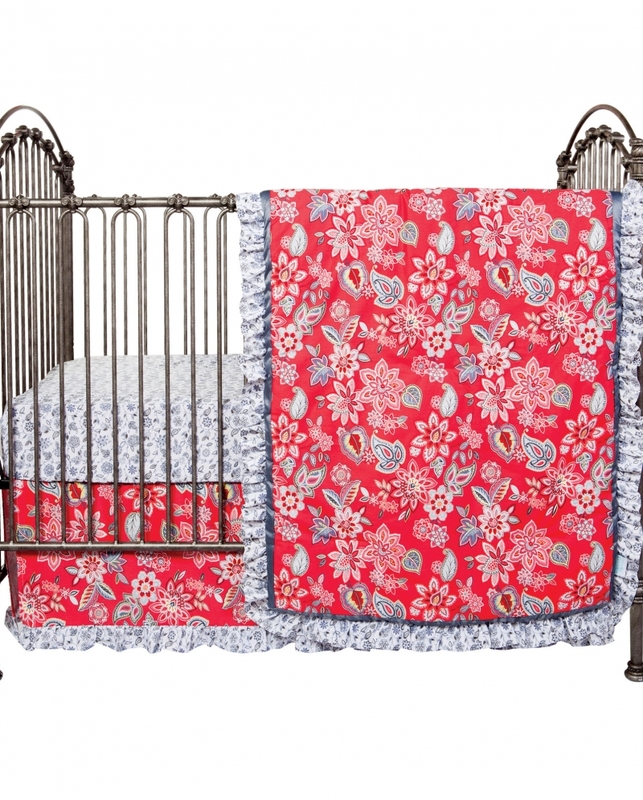 The charismatic prints and color combinations create a very compelling and beautiful floral nursery collection. Set includes: Quilt, skirt and sheet. 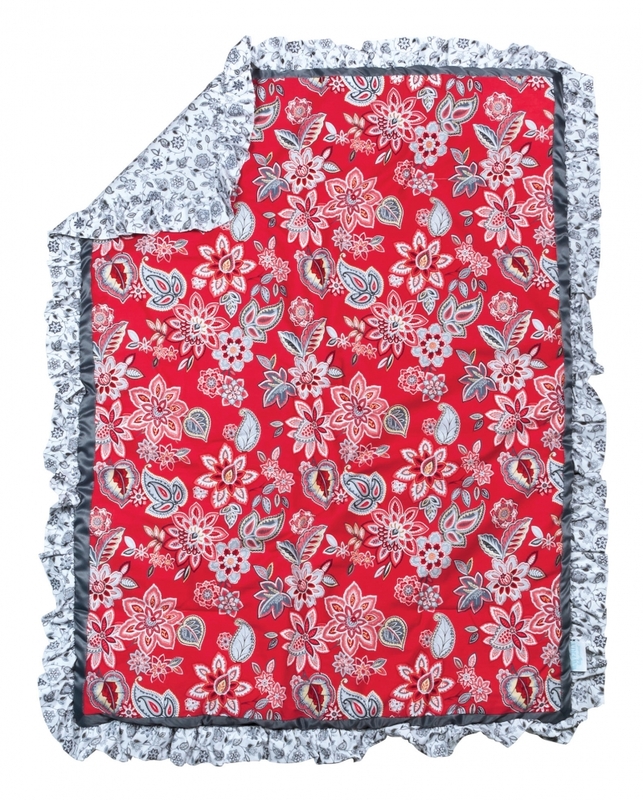 Quilt measures 35 in x 45 in and features Waverly's bright and cheerful Charismatic floral print with a gray satin border and ruffled trim in the gorgeous Lively Trail floral pattern. 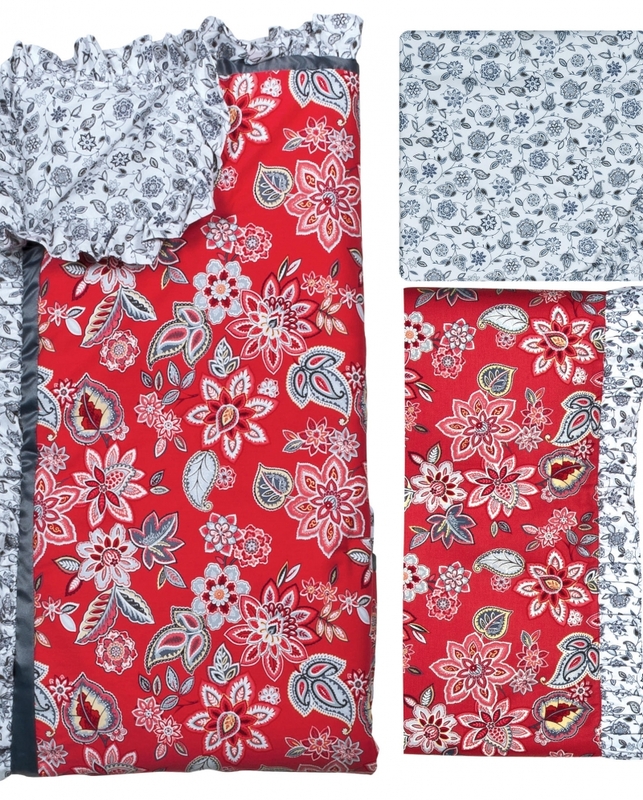 Quilt is backed in the Lively Trail floral pattern. Fitted crib sheet is 100% cotton and features the gorgeous Lively Trail floral pattern printed in soft licorice gray on a cream base. Crib sheet fits a standard 28 in x 52 in crib mattress and features 8 inch deep pockets with elastic surrounding the entire opening ensuring a more secure fit. 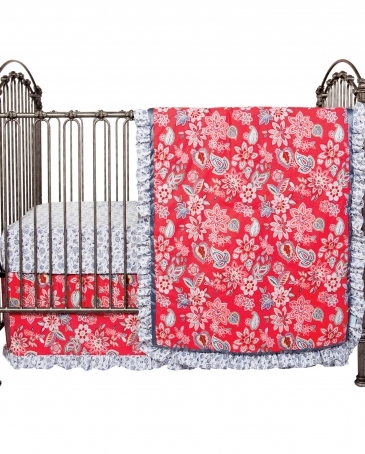 Crib skirt has a 15 inch drop and features Waverly's bright and cheerful Charismatic floral print with a ruffled border in the Lively Trail floral pattern. 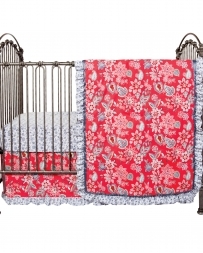 Coordinating Waverly Baby by Trend Lab Charismatic crib bumpers and room accessories are sold separately. Launched in 1923 Waverly is a premier home fashion and lifestyle brand that has become one of the most recognized names in home decor and furnishings.